As kids, nearly all of us want to be “normal.” We want to fit in and be accepted. And that’s understandable when we’re six or seven (or even fifteen), and “different” is perceived as bad or weird or wrong. Unfortunately, too many people never outgrow that need. As adults, so many of us still cling to the desire to be “normal.” But what does that really mean? What exactly is normal? Is that how you want to be perceived? Is that how you want your company, product, or service to be described? Normal is overrated. Different is underused. 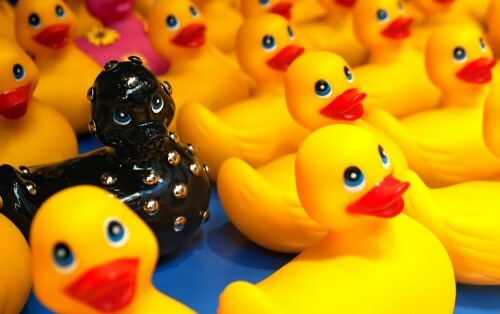 Is there a risk in being different? Of course. Some people won’t like it. But if it turns off some people, so what? Neither you, your company, your product, or your service needs to be palatable to everyone. In fact, nothing can be palatable to everyone. So don’t try to be. Think of your favorite celebrity—are they normal? Think of your dream car—is it normal? I could go on and on, citing example after example. Normal is safe, but carries little chance of major success. Different is risky, but that’s where the real potential for greatness is. Not just in sales or business, but life itself. Let your freak flag fly. Revel in who you are, what you do, and how you do it. Create products and services that are so different that people have to have them. Normal is boring. Different is exciting, liberating, and energizing. The choice is yours.